Eiroa Jamastran is being rolled only with select, high-priming wrappers from Honduras and will come in two sizes: 11/18 and a robusto. The Eiroa family has a special connection to the Jamastran Valley of Honduras, and now Christian Eiroa, owner of C.L.E. Cigars, wants to honor that relationship with a new cigar that will be exclusively sold through retail members of the Tobacconists’ Association of America. 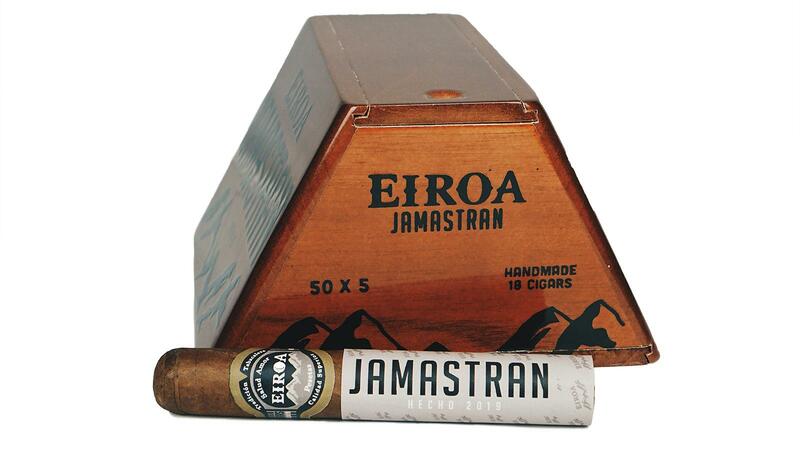 Called Eiroa Jamastran, the new smoke is rolled entirely with Honduran tobaccos from the Eiroa family’s farms. Christian’s father, Julio, has lived in the Jamastran Valley since 1963, and is best known for growing Corojo tobacco from original Cuban Corojo seeds that he obtained in the ’80s. “I wanted to celebrate the Jamastran Valley that’s been so good to my father,” said Christian Eiroa. According to Christian, Eiroa Jamastran is being rolled only with select, high-priming wrappers from Honduras, with Honduran binder and filler. The cigar will come in two sizes: 11/18 and a robusto. The Eiroa Jamastran robusto measures 5 inches by 50 ring gauge and will retail for $15.50. The 11/18 measures 6 1/4 inches long, with a foot that is 52 ring gauge. The cigar then expands in the middle to about 60 ring before tapering back in at the head to about 54 ring. “A pregnant toro,” as Christian calls it. The cigar will retail for $16.50 and come packed in wooden boxes of 18 that resemble a trapezoid. Christian believes that the trapezoid shapes keeps a cigar better than traditional square boxes and are good for collectors who enjoy aging cigars. The 11/18 will only be sold through retailers that are members of the TAA, which consists of 77 retailers who operate nearly 240 stores nationwide. 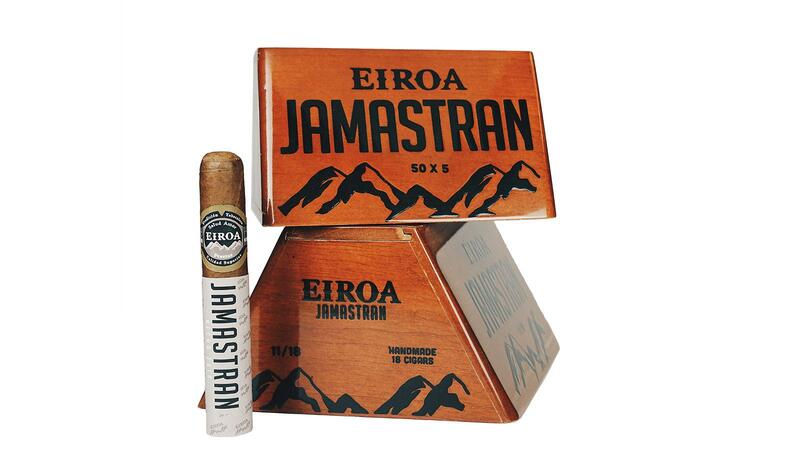 The Eiroa Jamastran robusto measures 5 inches by 50 ring gauge and will retail for $15.50. It will also come in the 18-count trapezoid box, but unlike the 11/18, the robusto will be sold through both TAA retailers and in other stores. According to Christian, he has produced “about 25,000 to 30,000” cigars of each size. This year’s TAA expo takes place from March 17 to 21, and the Eiroa Jamastran will go on sale shortly after.